Celtron STC S-Beam Load Cell 20,000 lb.Celtron 20,000 lb. capacity STC Alloy Steel S-Beam NTEP load cell that is ideally suited for scale conversions and general-purpose weighing. Compact and rugged design. Complete with 20'/6.1 m of load cell cable. Celtron STC S-Beam Load Cell 15,000 lb.Celtron 15,000 lb. capacity STC Alloy Steel S-Beam NTEP load cell that is ideally suited for scale conversions and general-purpose weighing. Compact and rugged design. Complete with 20'/6.1 m of load cell cable. Celtron STC S-Beam Load Cell 10,000 lb.Celtron 10,000 lb. capacity STC Alloy Steel S-Beam NTEP load cell that is ideally suited for scale conversions and general-purpose weighing. Compact and rugged design. Complete with 20'/6.1 m of load cell cable. Celtron STC S-Beam Load Cell 3000 lb.Celtron 3000 lb. capacity STC Alloy Steel S-Beam NTEP load cell that is ideally suited for scale conversions and general-purpose weighing. Compact and rugged design. Complete with 20'/6.1 m of load cell cable. Celtron STC S-Beam Load Cell 2500 lb.Celtron 2500 lb. capacity STC Alloy Steel S-Beam NTEP load cell that is ideally suited for scale conversions and general-purpose weighing. Compact and rugged design. Complete with 20'/6.1 m of load cell cable. Celtron STC S-Beam Load Cell 2000 lb.Celtron 2000 lb. capacity STC Alloy Steel S-Beam NTEP load cell that is ideally suited for scale conversions and general-purpose weighing. Compact and rugged design. Complete with 20'/6.1 m of load cell cable. Celtron STC S-Beam Load Cell 1500 lb.Celtron 1500 lb. capacity STC Alloy Steel S-Beam NTEP load cell that is ideally suited for scale conversions and general-purpose weighing. Compact and rugged design. Complete with 20'/6.1 m of load cell cable. Celtron STC S-Beam Load Cell 1000 lb.Celtron 1000 lb. capacity STC Alloy Steel S-Beam NTEP load cell that is ideally suited for scale conversions and general-purpose weighing. Compact and rugged design. Complete with 20'/6.1 m of load cell cable. Celtron STC S-Beam Load Cell 750 lb.Celtron 750 lb. capacity STC Alloy Steel S-Beam NTEP load cell that is ideally suited for scale conversions and general-purpose weighing. Compact and rugged design. Complete with 20'/6.1 m of load cell cable. Celtron STC S-Beam Load Cell 500 lb.Celtron 500 lb. capacity STC Alloy Steel S-Beam NTEP load cell that is ideally suited for scale conversions and general-purpose weighing. Compact and rugged design. Complete with 20'/6.1 m of load cell cable. 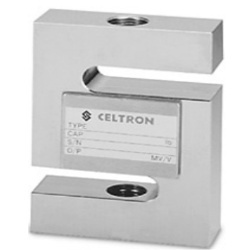 Celtron STC S-Beam Load Cell 250 lb.Celtron 250 lb. capacity STC Alloy Steel S-Beam NTEP load cell that is ideally suited for scale conversions and general-purpose weighing. Compact and rugged design. Complete with 20'/6.1 m of load cell cable.